I’ve been flying a lot more recently, but have been terrible writing about it. Sorry my blog readers! I’ll try to remedy that! 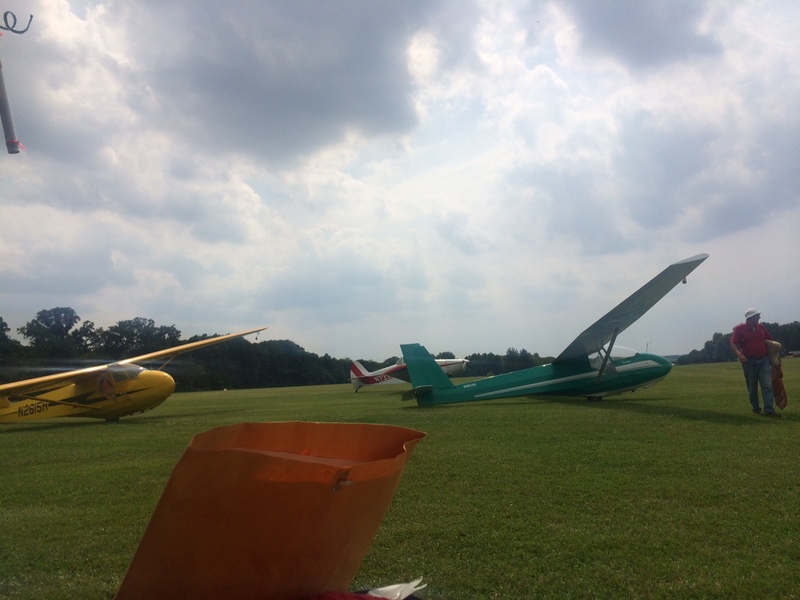 Yesterday, I went out to the glider club to fulfill my crew duty day for the month. Being a club member, you’re required to do one day a month of working crew. Either it’s ground crew, tow pilot, instructor, or crew chief. I want to eventually be a tow pilot, but I believe I need more tailwheel time as well as a glider pilot with the club. I showed up late, since I worked until 4am there was no way I’d be able to be at the gliderport (an hour drive away) at 10am. The club knows and understands this. I jumped into launching gliders and retrieving them. Since this is the learning crew for newer members, we also get flights in and I got two in yesterday! First flight was with an instructor I hadn’t seen before. A girl around my age, which is awesome since I’ve only seen old men. We got along great and I was hoping to fly with her again but got paired with our DPE the second flight. With her, we worked on minimum airspeed maneuvers and a couple of stalls. Stalling a glider isn’t like a powered aircraft. It’s much less dramatic. We were doing gentle stalls so you could hardly feel the break in the stall and the glider just wants to recover so quickly. I’m used to the 152 and Cub stalling where they love to drop a wing. I enjoy this much more. Another great thing about gliders, is you can also hear the wind much better and it helps judge airspeed. I don’t have to constantly look at my airspeed but can use my ears and stay looking outside. This flight because of where we were over the field we did an unusual pattern. The approach was a bit all over the place and there was a gusty crosswind. We were pretty high and got knocked pretty hard by a gust right as we were crossing the threshold so the instructor took over and landed. I went back to ground crew duties and then got back up and I did most of the tow. Towing is the hardest part for me. It requires so much concentration to follow the tow plane. And you’re not even really in complete control. If the tow plane is going too fast you have to deal with it since this glider doesn’t have a radio to tell him to slow down. I had a lesson a month ago where the tow pilot was going 80mph when he’s supposed to go 60mph. We had to break off early since the glider was almost uncontrollable. This time he was a bit fast which requires a lot more forward pressure, and I did develop a death grip on the stick and kept trying to fix. I didn’t create any slack line, which I have done in the past. It was gusting still and by the end of the tow I was pretty exhausted, but felt good I finally did majority of a tow. More minimum airspeed maneuvers and did a steep turn. The approach and landing was much more normal, we did hit the one bump on the field and went back into the air, but not a terrible landing. We started to put the planes away and pack up after my lesson. It was a long day for me but fun for the most part.